(31 cm), xxiii, 581 pp., illustrations,  leaf of plates. 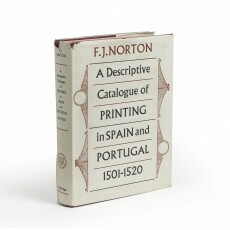 Publisher’s cloth, printed dust jacket. 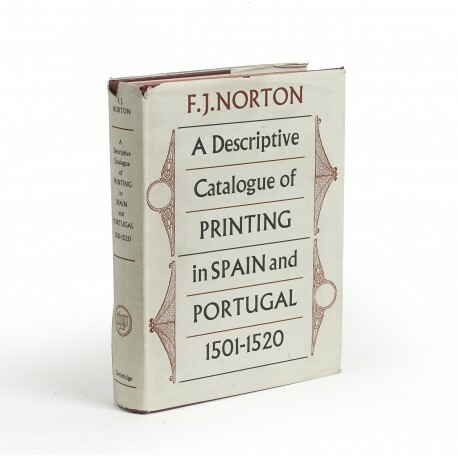 - There are 1372 entries for Spain and 44 for Portugal; Norton himself looked at an astonishing 1069 of the Spanish books, 34 of the Portuguese, and examined another 60 from photographs (one item was inaccessible to him; the other 247 are either lost or their present whereabouts unknown). 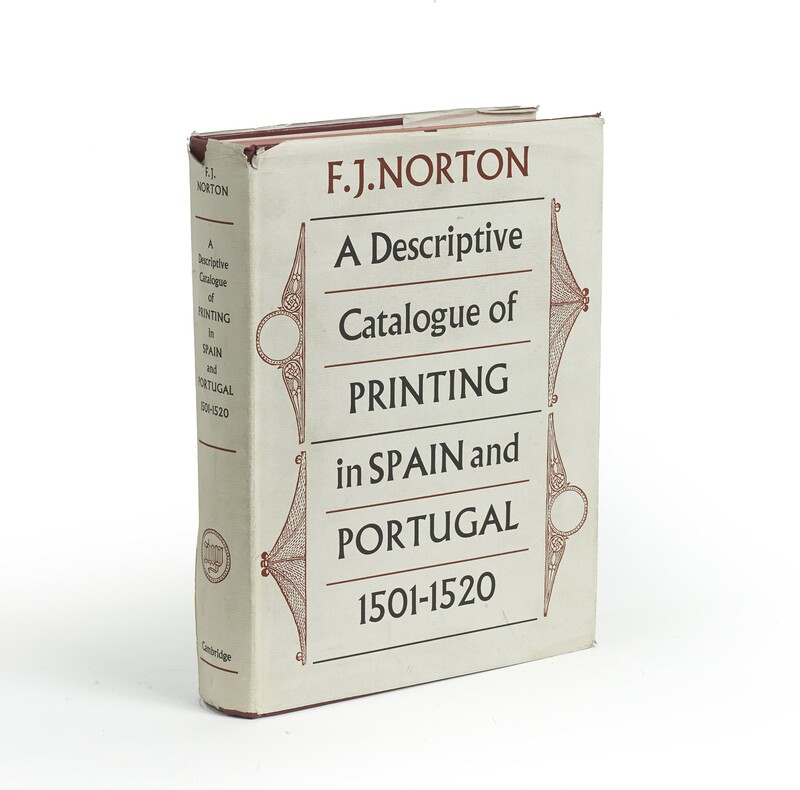 A huge number of productions (more than 40%) were not signed by the printer, and Norton’s achievement in reducing this number to just 37 cannot be overstated. “Its value will be permanent and far-reaching” (from a review by Paul Needham, in The Times Literary Supplement, 4 April 1980, p.398). 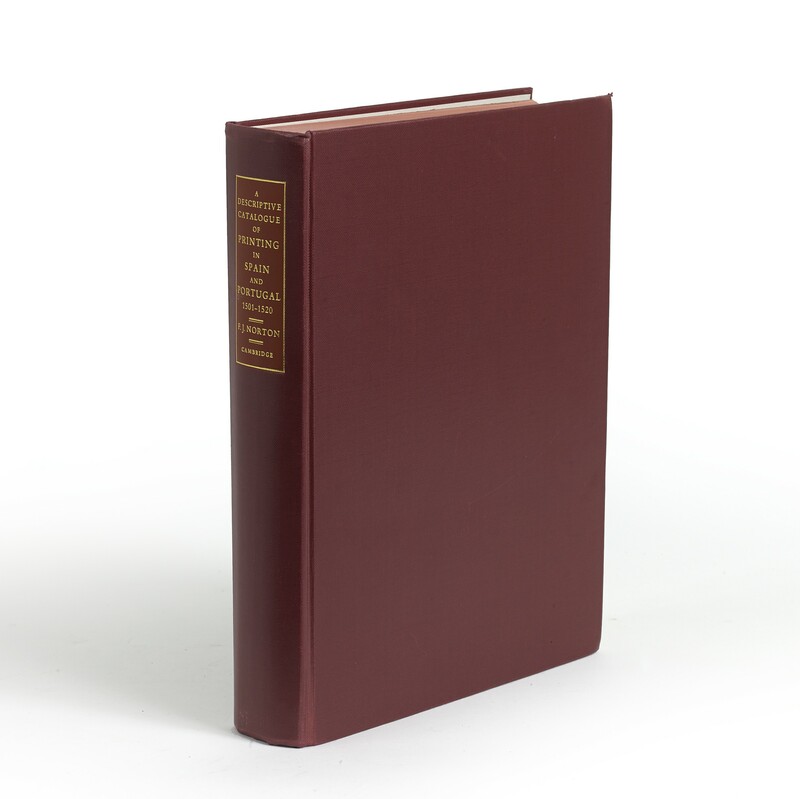 ¶ Dust jacket worn, with small losses, and inexpert repairs; internally a very good, unmarked copy of the scarce first edition.